A persona is a key element of social media, content or really any type of marketing. BUT persona creation is NOT a marketing destination. You develop a persona to facilitate your marketing creation and enhance its effectiveness. By employing a well-developed persona, you no longer create content for a nebulous, undefined collection of people. Instead, you know your audience the way you know your friends and colleagues. So, you communicate with them as if you were face-to-face. Prospects are at least 58% of the way through the purchase process before they contact you. Therefore, your marketing must resonate with your target audience or you’re off their buying radar. Hence marketing persona are crucial to unlocking audience insights. 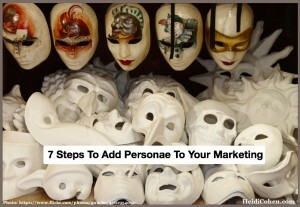 Use of personae changes your marketing in 3 significant ways. Your marketing speaks in a human voice. You talk person-to-person. Your communications eliminate the empty corporate-speak and reduce the perceived distance between you and your reader. Your marketing laser focuses on your prospects and customers’ specific needs. By knowing your audience’s main pain points you can provide the appropriate information when and where they need. It’s no longer a guessing game. Your marketing builds relationships with prospects. You treat your reader as a real person with everyday concerns. Your marketing begins with knowing your customers. Once you’ve gotten over that hurdle, you can tailor your marketing so that it yields better results. 1. Position your organization in your persona’s mind. Based on your knowledge of your prospects and customers, how do you present your organization to appeal to them specifically? Here are a few questions to help you craft your offering. What qualities does your buyer need from your company? For example, are you the only natural brand? 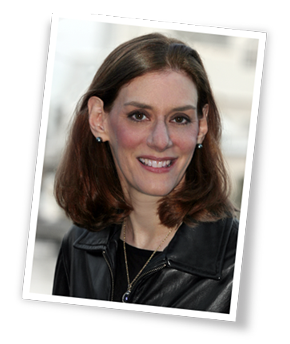 Does the brand name matter to your persona? How about her influencers or end-users? Do they only seek high-end luxury or cut rate bargain basement options? How does your prospect want to do business? While this may sound obvious, it’s not! Depending on your persona’s age, it can be the difference between high touch or mobile only. 2. Present products and services to meet your persona’s needs and desires. While you may not be able to change your products and/or services quickly, you can modify how you show them to buyers. By knowing your market’s needs and approach to spending, you understand their ability to use your product and related services. Are there special ingredients or features your audience seeks? Are you the gluten-free option of your category? Can you add special services to facilitate product use? Don’t underestimate the value of content as a differentiator. Can you provide 24/7 services such as technical support? Can you create a premium option? Can you offer a stripped down version for DIYs? 3. Price your offering based on your persona. Are your prospects tight-fisted with money? Whether it’s theirs or their employer’s, will they only purchase when you’ve reduced your prices several times? Will your prospects haggle with you just to feel that they’ve gotten the best price? Are your prospects concerned about quality, delivery or other factors that will allow you to increase your prices or charge for other services? Can you bundle your products to sell more at one time? 4. Promote sales based on your persona’s needs and timing. While a promotional calendar is a critical component of every marketing plan, you still need to consider your audience’s requirements. There’s a huge difference in rose prices on February 14th versus February 15th. How often does your prospect purchase your product? This can have an impact on their price sensitivity. If it’s an occasional purchase, they may be less price sensitive than a high quantity buyer. When do your prospects need your products and services? You don’t want to discount your offering during the peak-buying season. 5. Determine the specific type of content your persona seeks and wants. Consider who is going to use the information you supply. A researcher may do the legwork for an executive. Provide information for the full breadth of persona roles. This means supply information for the prospect, customer, influencer, end-user and the public. 6. Engage with your persona on social media. Unless you’ve been living under a rock, you and your audience use social media. Which platforms and how your persona uses them should influence your behavior and sharing. Remember social media is NOT one-size-fits-all. Create a social media persona! Determine which social media platforms to focus your efforts on as well as when your target market is active. Social media is about the community, not your firm!!! Many marketers are only active during business hours. There’s an opportunity waiting. Consider your persona’s interest in sharing your content. Make your content easy-to-consume and share. 7. Understand which channels and platforms your persona uses and how she spends her time on each. Where you publish your content and marketing have a major impact on how your information resonates with your audience and its reach. This means owned, social media and third party platforms. Appreciate your target persona may seek different information for various needs across an array of options. Consider your audience’s device(s) of choice. When and where is your audience’s prime time? 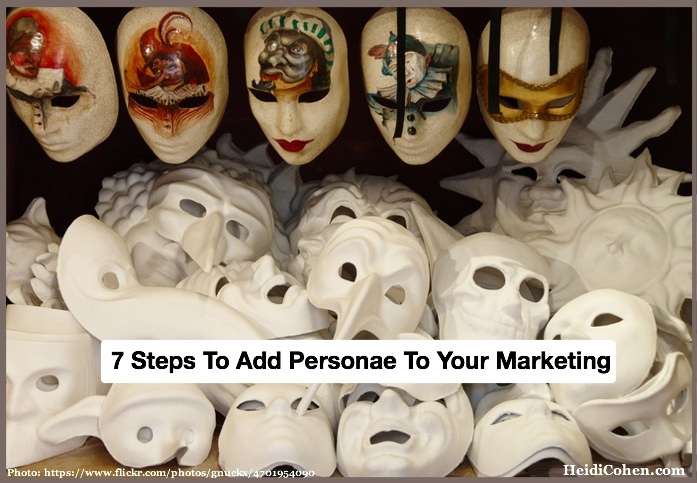 As you can see from each of these 7 post marketing persona creation steps, the goal is to refine your marketing to resonate with your target audience, their influencers and end-users. Once you’ve fine-tuned your marketing based on your persona, integrate these elements into your promotional, editorial and social media calendars. What other post marketing persona creation tactics would you add and why? Tags Persona. Bookmark the permalink. 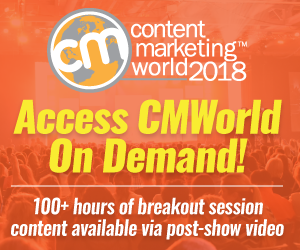 ← Are You Producing Content Like An A-Lister?